​Pray for Purity FB Group is a private group for anyone who desires to see God move His people to live out His design and purpose for sexuality. For God has not called us to be impure, but to live a holy life. 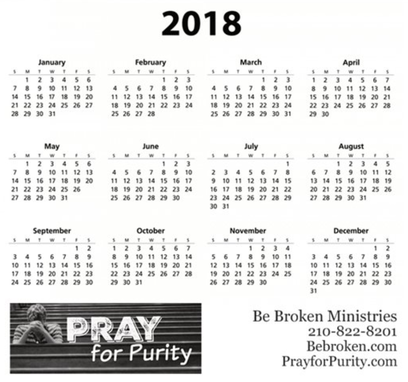 This is a monthly gathering for leaders who are passionate about purity to come together for a time of connecting, communicating, training, encouragement, and prayer! Join us from 11:30-1:00 on the 2nd Thursday of each month at Wayside Chapel. Lunch provided. Please RSVP. ​For details, email aaron@bebroken.com or call 210-822-8201. Share your Prayer Stories with us!